It is used for transport and turn around the goods. 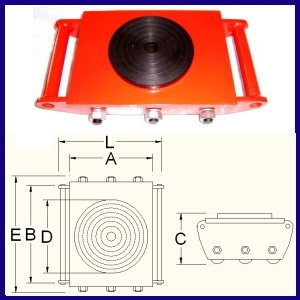 The cargo trolley can be used with movable load lever or a jack to lift the load for placing cargo trolley. Perfect solution for indoor transport in narrow factory and warehouse. The cargo trolley can be turned 360 degree.